For those looking to streamline recordkeeping, the 4850dr is a fullyfeatured document imager designed to digitize paper documents for simple and efficient paperless processing, storage and retrieval. 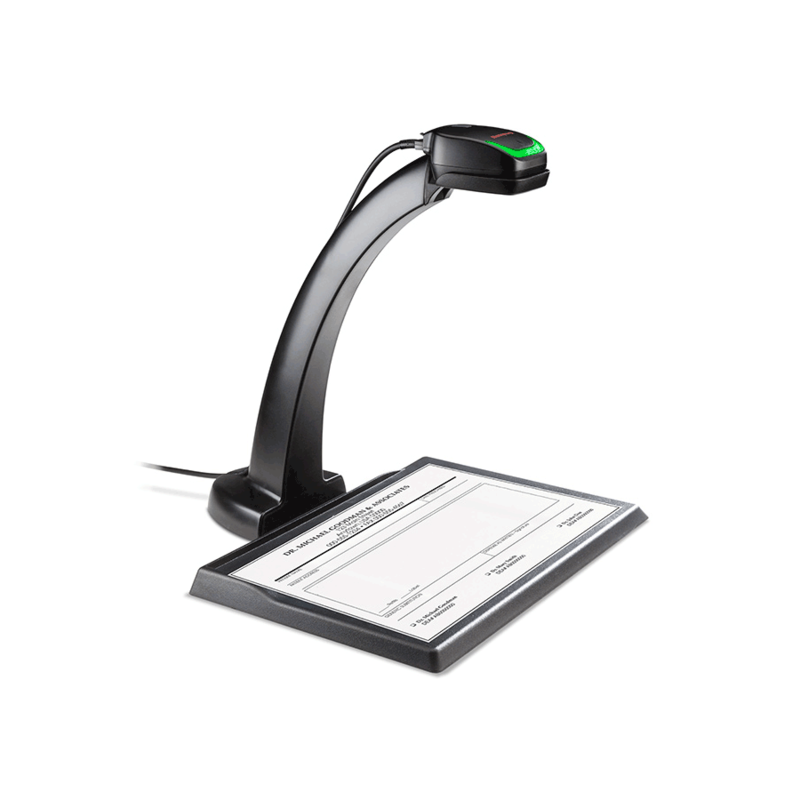 Unlike traditional document scanners, the 4850dr has no moving parts, requires no regular maintenance, scans barcodes, and comes with a superior three-year warranty. Powered by Adaptus Imaging Technology, the 4850dr captures crisp images of documents up to 8.5” x 11” or A4 formant, regardless of the paper or text color. An integrated suite of easy-to-use image enhancement tools can be used to sharpen text, improve contrast, reorient or magnify the image. In addition, built-in auto-cropping and an array of file configuration options and compression functions ensure optimum image quality and file size for your application requirements. The 4850dr also has the added flexibility of barcode scanning functionality, with the capability to read all linear, stacked, and 2D codes. Versatile Document Imaging Performance: Adaptus Imaging Technology enables imaging documents up to 8.5×11˝ or A4 size, and specialized white illumination ensures crisp images regardless of document or font color. Decode Capability: Reads standard 1D, PDF, 2D, and Postal symbologies. Visit www.honeywell.com/aidc/symbologies for complete details.